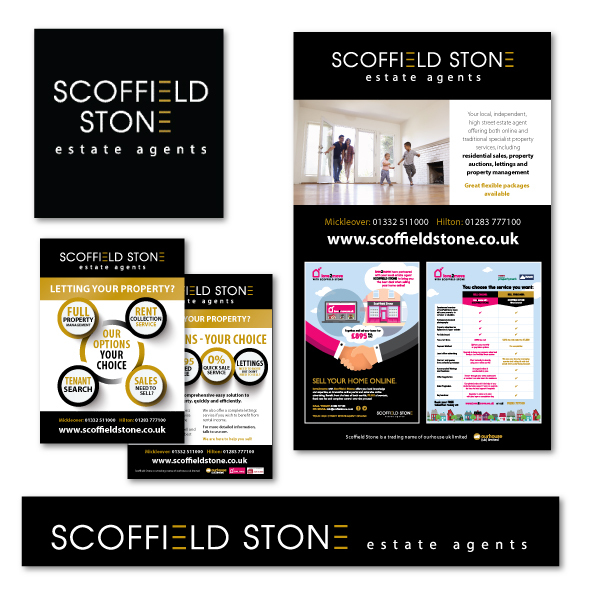 After our recent rebrand for Scoffield Stone Estate Agents, PE Creative continue to help this innovative Estate Agentto market and sell their services...with a new campaign outlining the key services and benefits to their customers. The campaign, based on four rings aims to communicate as simple but effective message: Our Services Your Choice. Utilising Scoffield Stone's classic colours of gold and black in a refreshing and eyecatching way. The campaing comprises both off and on-line presence and will rund throughout the summer. If you need help with rasining your profile call us now on 01332 291141 and we will be happy to help.